"You always go on about Austria on your blog, but why don't you write about these for a change?" 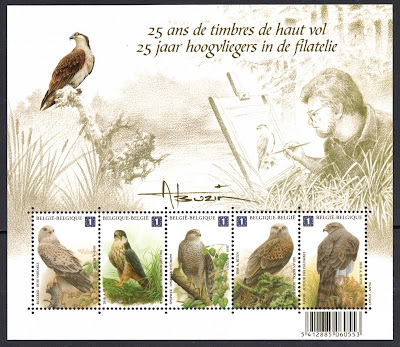 is what I was told on my visit to my local club earlier this week, and the man pointed towards a beautiful Gyrfalcon stamp from Sweden which was on display that evening. Do I always go on about Austria? 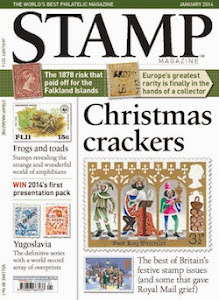 Well, I suppose I do a bit, but then, they have issued some beautiful stamps through the years. Anyway, I promised this man I'd lay off the Austrian stamps for a while, but unfortunately I can't write about that 1981 Gyrfalcon stamp because I don't have it. As it happened, though, I showed some bird stamps on that particular evening, from Belgium. So let me write about them then. Is that ok? 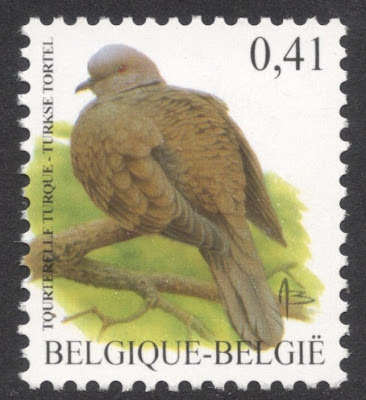 It should be, for I regard these as the best ever bird definitives, and I know I'm not alone, seeing that there's a dedicated website for these issues! 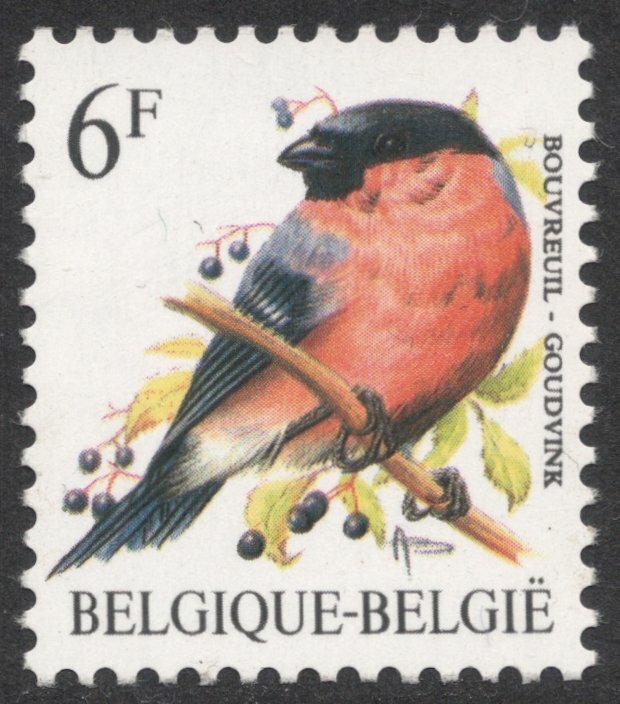 The series, consisting of bird illustrations by André Buzin, started in 1985. The first issues were printed by letterpress. Within a few years, however, the printing process was changed to photogravure and this has done the designs the world of good. This may well have contributed to the longevity of the set. Next change was the advent of the euro. In 2000 and 2001 a few stamps were issued which were denominated in both Belgian francs and euros. This, by the way, was the only time when there was a slight repetition of some designs. 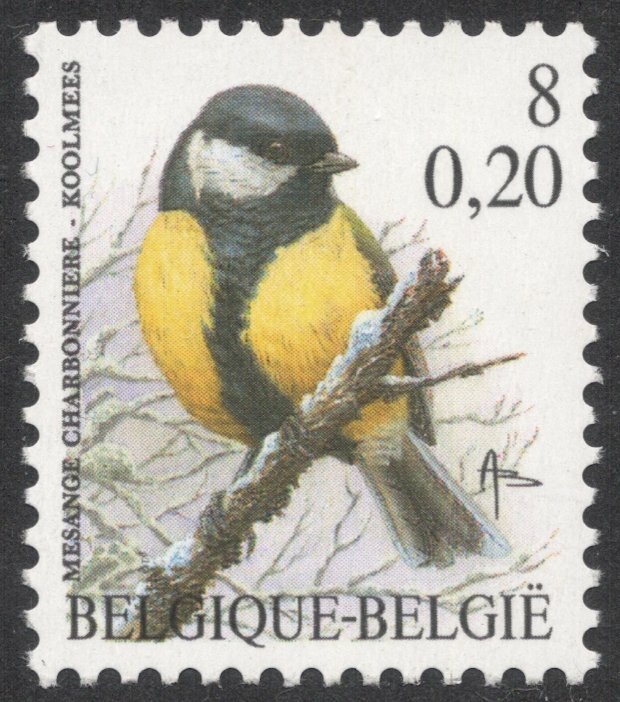 From 2002, all stamps were denominated in euros only and no more repetition of designs occurred. The series just kept on being added to, with many new values and quite often, existing values being reissued in a new design. In 2010, the 25th anniversary of the series was marked with a beautiful miniature sheet which contained five stamps depicting various birds of prey and included a self-portrait of the artist. 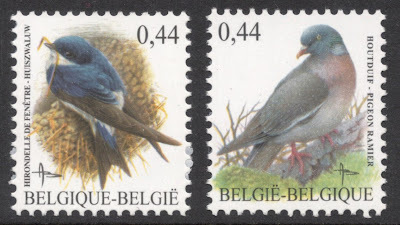 These are also the first No Value Indicator stamps of the series. 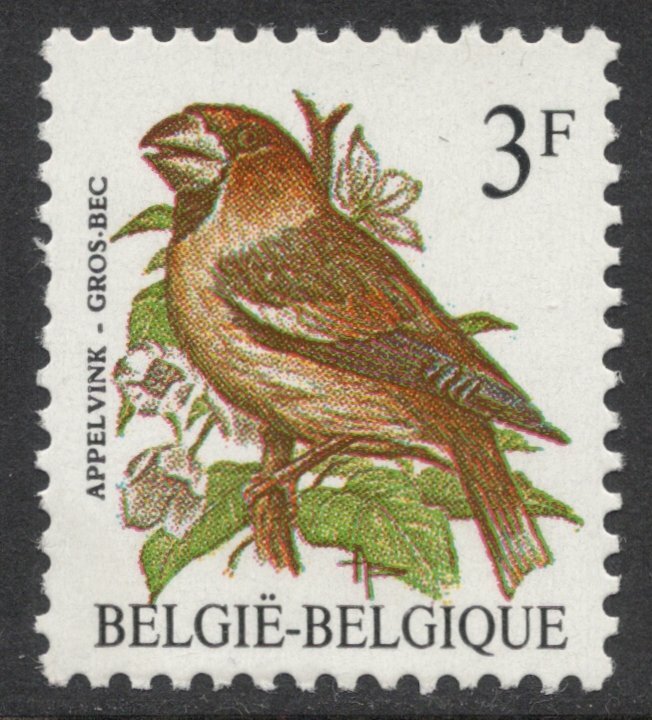 With the advent of NVIs also came the 'specific purpose' stamps, such as special stamps for registered post. 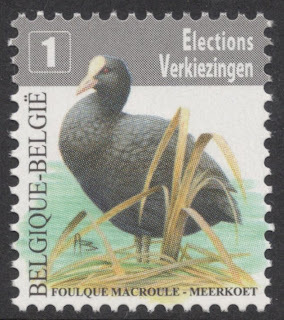 The first of those was the 2010 election mail stamp, issued especially for official election mail shots. The series is till going strong, and will hopefully remain so for a long time. Although specialisation is very much possible, with a dazzling variety in paper and gum used, the set really is a classic because of its designs, so it's worth it to just try and complete the basic set and enjoy looking at them! PS: For those who like their bird stamps: we have a special bird stamp forum thread as well. Check it out here. 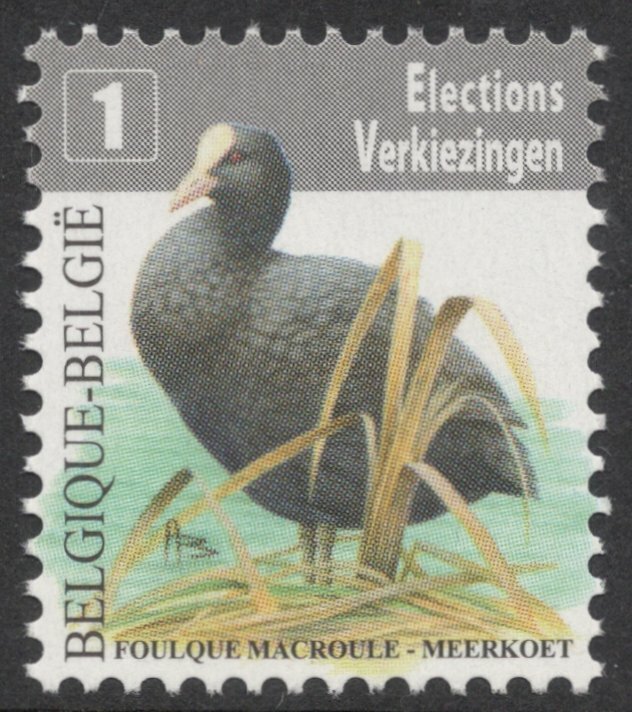 Belgian stamps offer glimpses of a long-maintained dual culture (both French and Walloon), participation in two World Wars (including phases of enemy occupation), time as a colonial power and long-standing concern with citizen welfare before the establishment of modern social programs. Thanks for reporting that! I've amended the link so all should be working fine again now. Your welcome, I should thank you for mentioning the website ! !